There are a lot of people upset with Electronic Arts, and more than a few of them are unhappy about the company's mobile re-release of Dungeon Keeper. Even the CEO called the mobile game, which is riddled with in-app purchases alien to the original, "a shame." But an empty apology is unlikely to placate the United Kingdom's Advertising Standards Authority, which today declared EA's description of the game as "free to play" to be misleading advertising. It all started with an email ad sent out highlighting the game's free status, which it shares with a depressingly high percentage of mobile games. One consumer took issue with the phrase "get it for FREE," complaining to the Advertising Standards Authority that the gameplay was severely limited unless the player bought in-game currency with real money. Dungeon Keeper uses the popular dual-currency system: players earn one kind of money in abundance by normal play, as any game might have, but the truly worthwhile portions of the game are hidden behind a second kind of currency (in this case, "Gems") that drop at a glacial pace. You can buy gems directly from EA to speed up the game, which is essentially slowed down to motivate purchases. Quantities range from a few dollars all the way up to $100 (£70 in the UK). This strategy relies on relatively small numbers of gamers with disposable income - "whales," in the parlance of gambling and mobile games - spending huge amounts of money on ostensibly free games. For a deeper look at Dungeon Keeper's IAP system, and why it and most of its contemporaries are awful, check out this video. EA countered the complaint, stating that it was possible for players to gain access to all the in-game levels and items without spending any real money. While that's technically true, and it's true for most of the other games that use the same system, the focus on "free" is somewhat disingenuous: even EA describes the two-currency system as "grind" and "premium." EA's official response to the ASA said that the company doesn't consider the system limiting, even though the current Dungeon Keeper build can take up to an entire day to clear out a single patch of land to expand your dungeon, something that only took a few minutes in the 1997 original. The ASA sided with the consumer, declaring that the extremely protracted method of game progression meant that a player would eventually reach a point where no meaningful progress could be made without spending real money. However, we understood that the rate at which they could be accrued was slow in comparison to the amount needed to play the game at a reasonable rate, where the delays did not significantly impact on the ability to continue playing. Given this, we considered that players were likely to find themselves in a situation where they wished to bypass timers to achieve the expected gameplay as above, but were unable to do so without making a monetary purchase of the Gem currency. 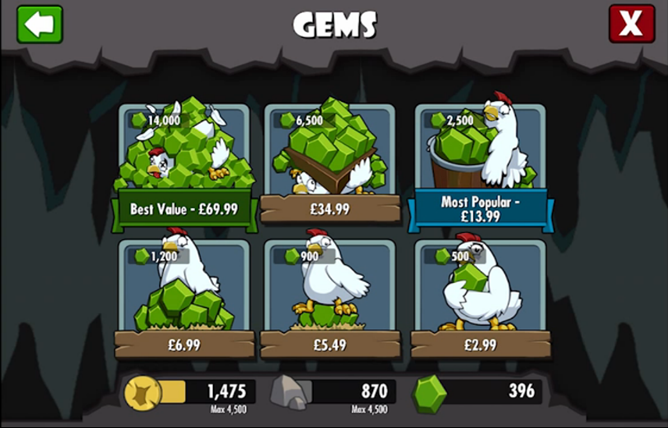 Although the game activities were available without cost to the player, we considered that for players to achieve the gameplay experience that was reasonable for them to anticipate, it was likely that they would need to spend money on the premium currency. The ASA declared this ad in breach of three of the Committee of Advertising Practice's rules governing misleading advertising. It further stated that EA should mention the limitations of the free-to-play system in future ads. Now, don't run down to your local game store to rain on EA's parade right away. The Advertising Standards Authority is the UK's version of the ASRC, and like its American counterpart, it's a self-regulating body made up of representatives from the advertising industry. It's not a part of the government, and it has no way to directly affect policy. In short: EA could completely ignore this if they wanted to, though they would be risking an even bigger public relations nightmare than the one they're already in. There are a few agencies with more teeth looking into the sad state of free-to-play games, namely the European Commission and Italy's antitrust authority. Believe it or not, there are ways to make free-to-play games that don't completely break the flow of gameplay. In-game advertising, which was the primary way of monetizing free mobile games before IAPs became all the rage, is one way. Limiting in-app purchases to cosmetic items or cheats that don't affect the core gameplay is another. It's even possible (though extremely rare) to create a game that relies on standard free-to-play mechanics and in-app purchases that isn't insanely unbalanced - see the PC games Team Fortress 2 and Hearthstone for good examples. 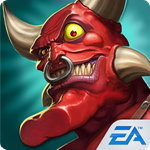 But since the approach of EA and its mobile contemporaries like Glu and Gamevil continues to be lucrative, as evidenced by more than a million downloads for Dungeon Keeper on Android alone, don't expect the status quo to change any time soon.